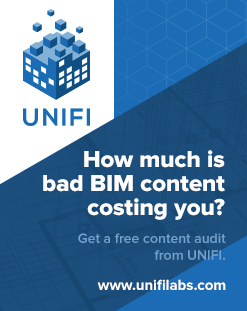 Here is an interesting idea from Daniel Monsén: in the video below, he describes using bimframe connect (which I previously posted about a couple of times, including here) to translate data for a Revit project. 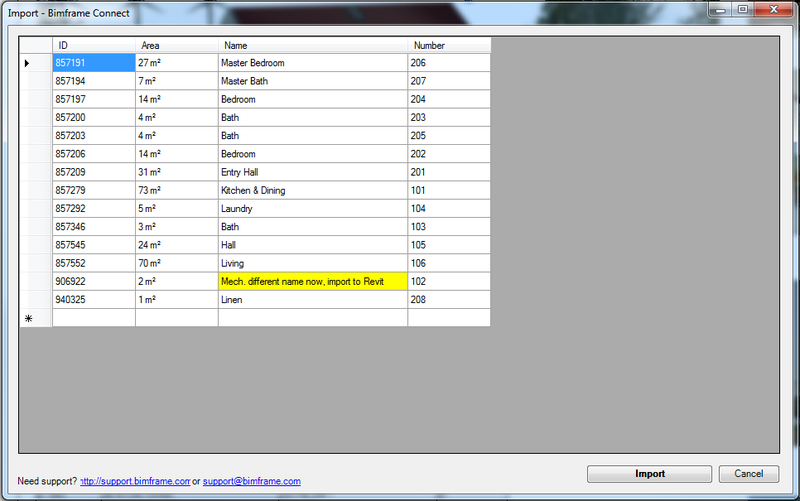 Subject: Translate a Revit project into another language. I hope everything i fine. 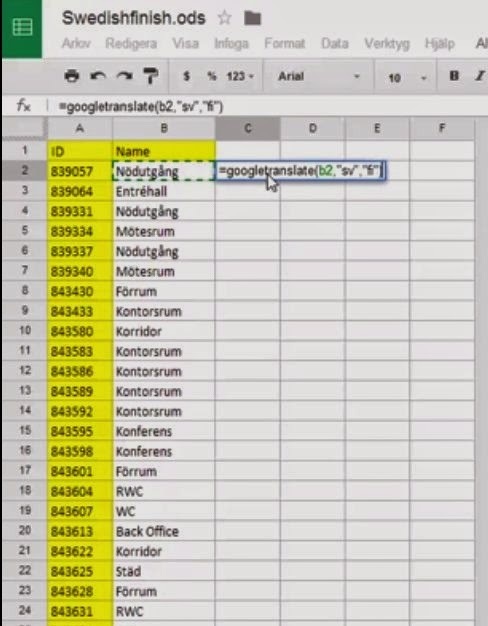 I just want to see if you seen our trick to translate a revit file to another language, using bimframe connect. Maybe something for your blog? 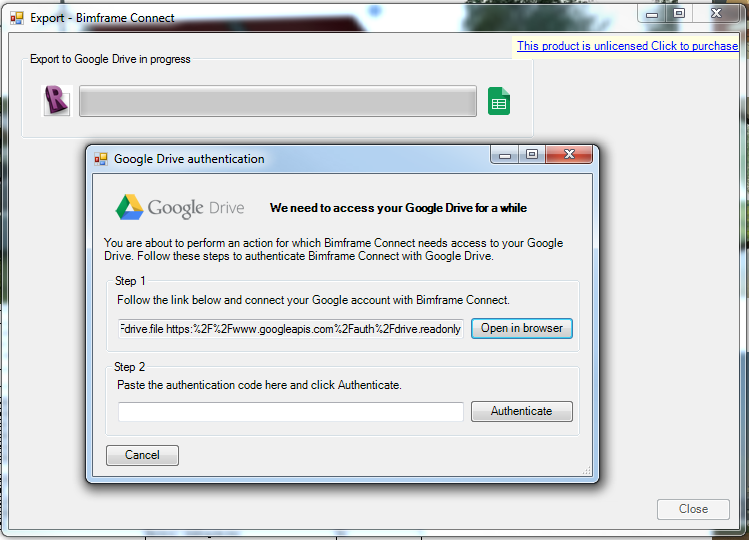 We use Google Drive a lot now, particularly Google Sheets. The power of a shared spreadsheet cannot be underestimated in the AEC world. Now, imagine if you could directly export data from Revit to a Google Sheet, edit it, and then import the changes directly back to Revit. 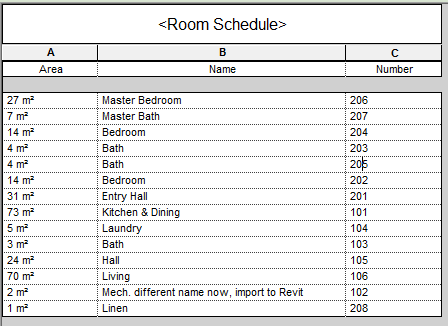 Imagine if you could share that spreadsheet to other team members who may not know anything about Revit, but who can modify and update schedules with ease? Yep, this just happened with Bimframe Connect… screenshots below. Daniel Monsén has created one of those addins where you just have to say “this makes sense”. 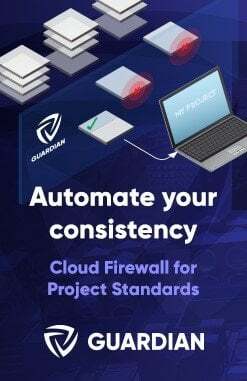 The key feature of Bimframe Connect? 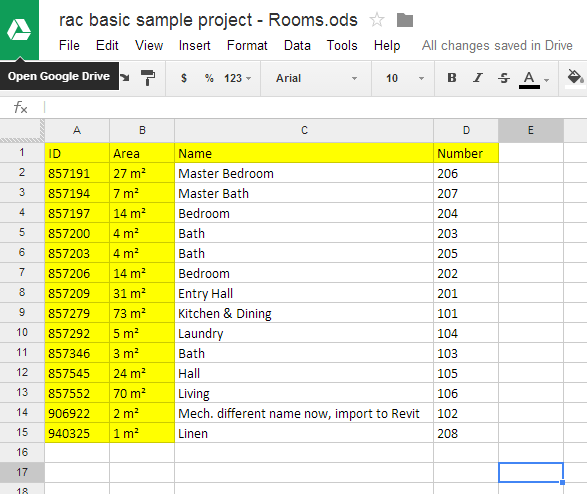 It allows users to import and export data from Revit to a Google Spreadsheet. The overall concept is that you can export data to a Google Spreadsheet, collaborate using a web client or mobile device, then import the data and update the Revit model. Collaborators obviously don’t need Revit – just access to the Google spreadsheet. Personally, I love the idea. The more transparent the Revit building database is, the easier it is to add intelligence to the model, share the model, and detect design problems. Email: daniel@bimframe.com to get trial key.